My dad has a tape he’s kept for 20 some years now, the 1995 national championship game between Nebraska and Florida. He likes to pull it out every once in a while, sometimes he watches it, sometimes he’ll tell stories about what it was like witnessing it live. When the Gators were winning championships in 2006 and 2008, he liked to joke “we were doing it first.” Not trapped in the past, but proud of the tradition. Growing up I was surrounded by reminders of Husker lore. My dad had – and still has – a Tommie Frazier jersey that he treated about as well as anything. My family has no shortage of Tom Osborne books and Saturdays were not for the boys, they were for the Huskers. It’s a sentiment I’m sure isn’t unique to my parents’ house in central Oklahoma. It’s one that has created an almost apathetic fan base this season as the Huskers seemingly find new ways to lose each week, en route to a 4-6 record and the very real possibility of a 4-8 close, the worst season since 1961. Saturday night, Hail Varsity’s Brandon Vogel compared Nebraska’s program in its current state to a boat with no oars, left to drift influenced by forces outside its control. That’s about as good a metaphor as you’ll get and if you somehow missed it, you should fix that. We’ve ventured into uncharted waters here, but I think there’s a very real and pressing issue at play: a lack of program control from the head coach. Under Bo Pelini, there was control. Bo was in charge. You did what Bo said or you dealt with the consequences. 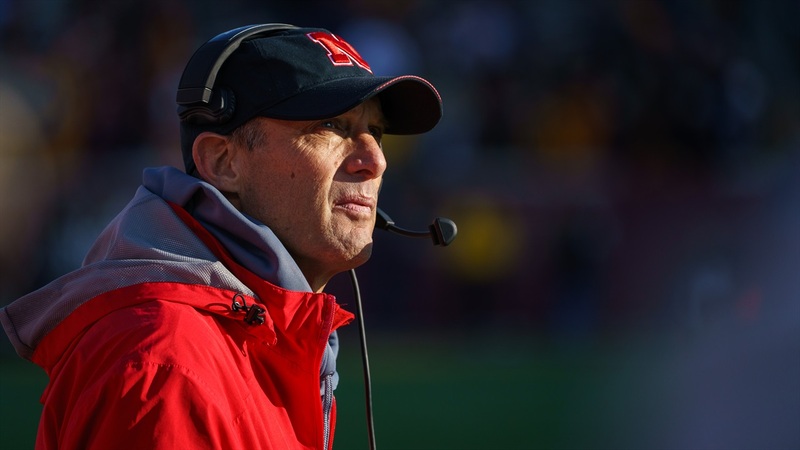 There is no such culture under Mike Riley. It was almost foolish of us to expect an outcome that was any different, the writing has been on the wall since the first game of the season. After a win over Arkansas State in the season-opener, defensive coordinator Bob Diaco didn’t talk to the media. It was his first game at Nebraska and his defense didn’t look as expected. There were questions, and people wanted answers. Diaco wasn’t there to give them. The explanation from Riley at the time was simple enough, but it sounded more like “Bob wanted to do one thing, I wanted him to do another, but he did his thing anyway.” Blame Diaco all you want, but if you don’t want to do something and you’re not fearful of the consequences, you’re not going to do that thing. It was a calculated risk, and Diaco took some heat for it, but he ultimately got what he wanted: he didn’t have to talk. Defenders play without fear of losing their starting spot, or their Blackshirt – something that has, and should, be earned and not given. The defense started poorly, climbed out of the doldrums against the Big Ten’s bottom-feeders and has since plummeted to historic depths. Nebraska finished last season ranked 30th in total defense. This year, they’ve plummeted to 82nd with one top-10 road game, one Heisman hopeful and one rival left on the schedule. For the most part, the same players are playing the same number of plays and performing the same way, garnering the same criticisms with each passing game. Ask yourself this question: if injuries weren’t a thing, would Brenden Jaimes be playing? Would Ben Stille? Would Devine Ozigbo? Remember, JD Spielman began the season as the starting slot receiver only because Keyan Williams was battling a hamstring injury. Had Jaevon McQuitty not undergone season-ending knee surgery before the season, it’s possible Spielman wouldn’t even be playing offense at all. Diaco surely wouldn’t be fanning the flames by calling out the former defensive coordinator and Nebraska administrators if he was worried about repercussions. He was asked if the defense has been demoralized by continued poor performances. His answer said something else. “I’m working, someone else isn’t.” Why? If that’s the case, why are they playing? No one has answered those questions this season. Time and time again, we’ve instead heard how much the coaching staff loves its players and how each practice has been the best of the season and how many good kids are on the team. It's a hard thing to do, criticize someone you have a tremendous amount of respect for. Saying Riley is a nice guy has almost become a way to avoid saying something bad about him, but it really is the truth, the man is as good as it gets. And maybe that’s why there have been issues. Did former athletic director Shawn Eichorst see in Riley a guy that would be better at doing what he wanted than producing a winning football program? Possibly. But a collection of 100-plus 18- to 22-year-olds needs to know who is in charge. A staff needs to know who is in charge. Riley can’t be the caretaker, he has to be the teacher, and yes, there’s a difference. After that first game, Diaco said he wanted one voice, but that’s not his decision to make, it’s Riley’s. There are too many cooks in the kitchen right now, too many people trying to push what they think is best and a head coach that is allowing it to happen. That has to change. Unfortunately, that just doesn’t seem to be the guy in charge.